Special Containment Procedures: Site-403 has been constructed around and inside the building that houses SCP-2128. At least three D-class personnel1 are to be present daily onsite for Experimental Protocol 37-Sparafucile, which is to be carried out as needed. The list of statements to be used in EP 37-Sparafucile will be provided by the O5 Council and may be amended during experimentation at the Site Director's discretion. 1. One D-class employee, referred to as the "messenger," will be laid inside SCP-2128. 2. The messenger will repeat statements as instructed from the prepared list. 3. After each statement, if the messenger remains unharmed, the statement is to be marked as "true." 4. As soon as the messenger is incinerated, a new messenger is to be provided. The statement that triggered the incineration is to be marked as "false." 5. A new messenger will be assigned. Repeat as needed. Description: SCP-2128 is a vaulted stone furnace in the ruins of a castle, 23km from ████████. 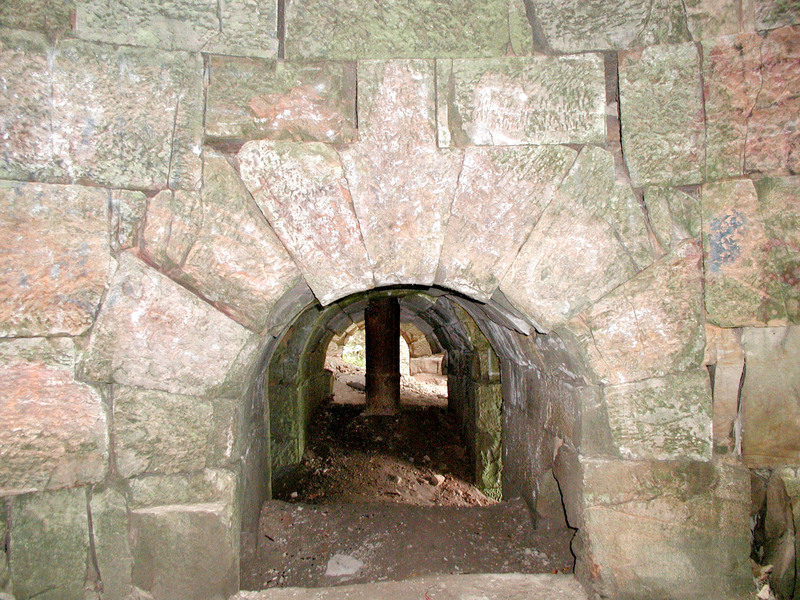 The two openings are 1m high, and the length is 3m. Documentation discovered onsite (a sheepskin scroll known as the "Ignis Manuscript") revealed that SCP-2128 was created by agents of the Brazen Heart2 in the late ninth century CE as a torture3 and execution device, named "The Liars' Cradle." When a human subject fully enters SCP-2128 and makes a true statement, nothing will happen. If the spoken statement should be a lie, the human subject will be completely incinerated by unknown means. Upon discovery, SCP-2128's two openings were covered in brick and mortar. The Ignis manuscript indicates that SCP-2128 was walled up in 1021 CE and its use was discontinued. This was due to a flaw in the method of lie detection: SCP-2128 considers all factually untrue statements to be lies, regardless of the subject's intention or prior knowledge. SCP-2128 has displayed knowledge on a true/false basis of highly classified and previously unknown information. While the true scope of SCP-2128's knowledge (and reliability thereof) is unknown, proactive usage of EP 37-Sparafucile has prevented XK-class end-of-the-world scenarios on four separate occasions. 1. Due to the inevitable death caused by EP 37-Sparafucile, D-class at Site-403 must be already scheduled for termination, and EP 37-Sparafucile is to be considered a method of termination as well as an experiment. 2. Fringe Moloch-worshiping cult, eventually eradicated by the Spanish Inquisition. 3. As shown in illustrations in the Ignis Manuscript, the victim would be placed in SCP-2128 for days at a time, forced to constantly talk about their lives as hot irons were prodded at their feet at every pause. The threat that one false statement could result in immolation made for emotional torment as well as physical. 4. D-9227 was a death row inmate convicted of cannibalism.